Living a Fit and Full Life: IFME Footwear for Babies and Kids Support Healthy Foot Development! 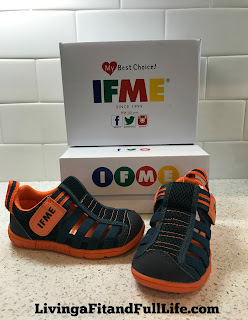 IFME Footwear for Babies and Kids Support Healthy Foot Development! IFME was launched in 1999 as the original brand of Marubeni Footwear. With a priority on the healthy development of children’s feet, the brand was developed based on research and development with Japanese based medical professionals specializing in children’s feet. Since 2009 IFME had sold a total of 16 million pairs of shoes globally. IFME now boasts an extensive network of 1,800 stores in Japan, Hong Kong, and Taiwan and is launching in the U.S. in spring, 2016. IFME works directly with Dr. Torii, professor at Waseda University’s division of Sports Sciences, as part of an academic-industrial alliance. As a result, IFME offers unique features and design elements that support the foot’s movement and help muscles exert their full potential. Children’s feet grow so fast that parents find themselves buying shoes all the time. The IFME brand is backed by Marubeni Footwear, which has vast experience in producing shoes from start to finish for well-known shoe brands. By utilizing quality resources Marubeni is able to produce an affordable shoe. Studies show an increasing number of children suffer from flat feet. To promote correct foot position and posture, IFME has developed a unique functional insole that allows the toes to splay and advances healthy arch development. IFME shoes also utilize a unique technology called MOFF, or “Marvelous Odor Free Fiber.” This is a natural cotton-based deodorizing fiber mechanically treated by superior nanotechnology. MOFF absorbs 150 times as much ammonia odor as activated charcoal at 20 times the speed. Easy to wash & air dry! MOFF stands for "Marvelous Odor Free Fiber"
IFME footwear for babies and kids support healthy development of children’s feet! My son is almost 2 and he's super picky about what goes on his feet. He has pretty wide feet so shoe shopping for him isn't easy. I still remember trying to buy him his first pair of shoes and literally every pair in the store didn't even fit on his foot. Shoe shopping for him has always been a nightmare but not anymore thanks to IFME! IFME footwear for babies and kids have functional insoles, allows toes to splay on contact with the ground, as if barefoot. 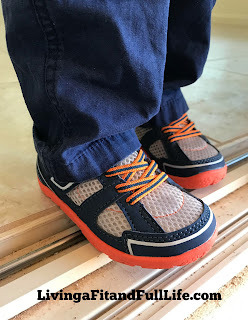 IFME's Children's Scout Velcro Sneaker is adorable but also seem to be extremely comfortable. He loves to wear them and they seem to be his go to pair of shoes. When I tell him to go get his shoes he always comes back with these. He also often wears them without socks and as most mothers know when kids wear shoes without socks they get stinky pretty quickly. But, thanks to MOFF Technology (Marvelous Odor Free Fiber) they never stink. The insoles are also removable and washable so they can be washed if needed. 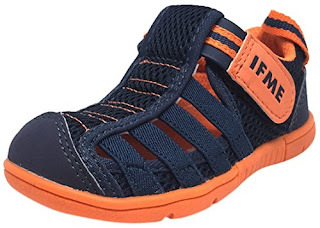 We also received IFME's Kid's Playa Venice Sandals which are absolutely perfect for spring and summer because they allow his feet to stay cool. I also have to add that they're probably the most fashionable boy's sandals on the market. 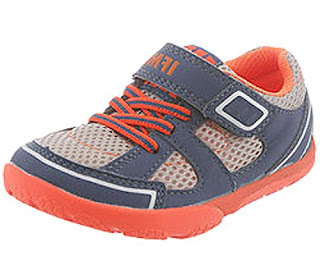 My son loves wearing these to play in the backyard and because they still have a rubber bottom for traction he can still climb on everything and do what boys do best. They also have MOFF Technology so you never have to worry about stinky boy shoes smelling up the house. IFME's shoes are amazing and I highly recommend them! Click HERE to find a store near you that sells IFME! Click HERE to learn more about IFME! Follow IFME on social media!